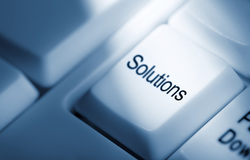 Accredited Solution Provider of U.S. Gov. EHanism Global Corporation, founded in year 2000 by a group of experts and scholars who came from Information Technology Industries and Cultural Institutes. We have been devoted ourselves to helping the Academic Circles and Knowledge Management Domains in seeking for Innovative Technology and Permanent Applications which can make the world better by way of international collaboration with the our Academic Research Institutes among United States, Taiwan, China, South East Asia, Europe and other countries. Today's digital world is concerned with creating, sharing, and using information in a variety of digital mediums for life. Digital information is data structured and manipulated, stored and networked, subsidized and sold. Digitization itself, of course, is no small challenge. Scanning the pages of brittle old books at high speed without damaging them is a problem that’s still being addressed, as is the question of how to store and preserve their content once it’s in digital form. Digital Technology is an extension of the long history in a way we communicate with each other, from generation to generation. The desire to indulge in knowledge management and culture exchange provides the motive and the ultimate rationale for the development of technologies in various walks of life. North Potomac. MD 20878 U.S.A.
4Fl, No.1, Sec. 2, Dun-Hua S. Road Taipei Taiwan, R.O.C.